View cart “N 50′ Double Door Mail and Package Express Cars – Railway Express Agency – Car#4128” has been added to your cart. All N4000 Passenger Cars are on Backorder. Backorder price is $0 down and will be contacted for payment before shipment. We discovered some duplicate sets of samples in the back of our paint shop. they will come to you individual PVC trays. all older samples and have the old Rapido “flapper” couplers. them before shipping, and add the appropriate color roofs. KNUCKLE COUPLERS AND THE CORRECT ROOFS. Most Sets** have the following 5 cars in them.. Round Tail End Observation Car. 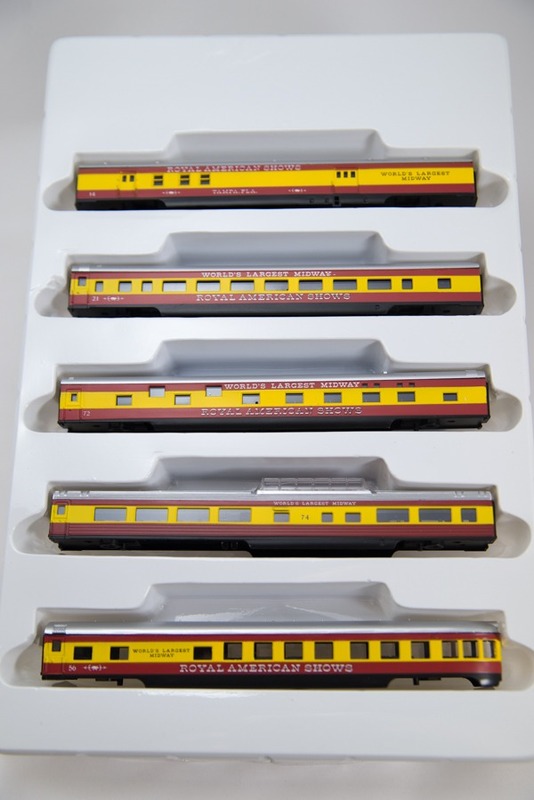 as the Pennsylvania never had any Dome car. set if we are out of individual cars in open stock. open stock availability on the regular N pass car section of this website. – Round Tail End Observation Car. Amtrak Phase IV "N" ViewLiner Diner-Lounge Car N SmoothSide Union Pacific "Overland"